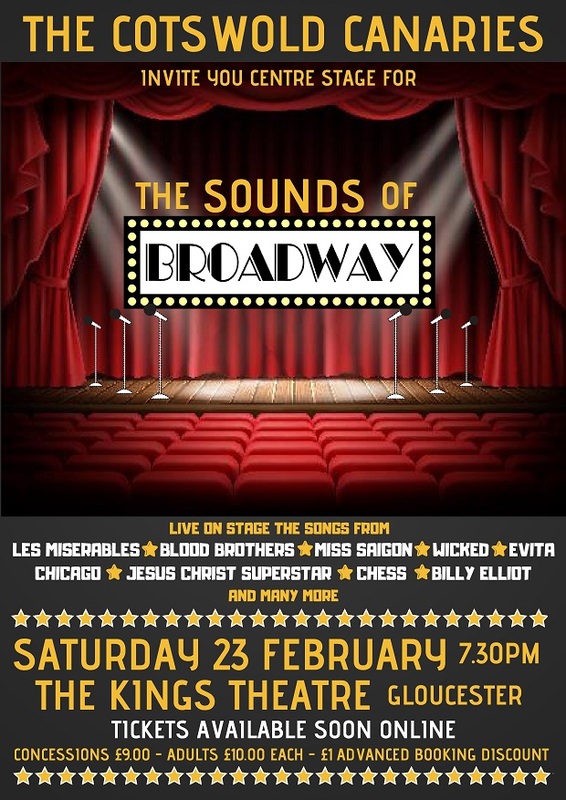 An evening of songs from the musicals. Join the Cotswold Canaries, a group of six sensational singers centre stage for a stunning evening of musical storytelling based on the showstopping hits of Broadway. Their dazzling show includes songs from the popular musicals Billy Elliot, Chicago, Les Misérables, Miss Saigon, Hairspray, Blood Brothers, Wicked, Chorus Line, Chess and more. Don’t miss a fabulous evening of feel good music and entertainment. It’s the ultimate fun night out for all the family so book now and experience the energy, joy, tears and laughter of this amazing show.